Have an open position? 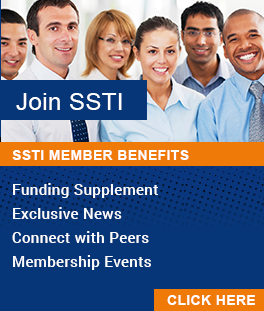 Let us post your position or RFP listing — it's free for SSTI Members/$95 for all others. Postings stay active on our website for 45 days and a brief mention is included in the SSTI Weekly Digest. Please use our listing submission form or send the position title, description, and any other relevant information to Ellen Marrison (marrison@ssti.org | 614.901.1690). The deadline to be included in our weekly newsletter is Wednesday at 12:00 PM. EDA has two openings in Washington, D.C., for a Management and Program Analyst who will help coordinate, review and monitor entrepreneurship- or innovation-focused grant programs; organize and track technical and merit reviews of grant programs; solicit input from partner offices; validate that programs adhere to Dept. of Commerice and EDA policies and procedures; and support executive advisory boards like the National Advisory Council on Inovation & Entrepreneurship. More information on the opening is available here. Iowa Innovation Corporation, the state’s private partner for economic development, currently has three openings for individuals who will lead our efforts to improve translation of innovations to commercial products in four targeted bioscience areas – biobased chemicals, medical devices, precision and digital agriculture, and vaccines and immunotherapeutics. These commercially oriented roles will focus on business development and program management needs of new business opportunities. The ideal candidates will have at least five years of experience developing technical innovations into business ventures, including working with investors, experience researching business opportunities and viable income streams and the demonstrated ability to develop and then execute a successful business plan. Learn more about the positions here. The Launch Place Portfolio Manager (PM) is primarily responsible for monitoring the performance of The Launch Place (TLP) Pre-Seed and Seed Fund portfolio companies. The PM will work proactively with portfolio companies to determine how TLP can support them in areas such as market research, business planning, financing, personnel recruitment, business development, research support, outsource partners, economic development grants, etc. The ideal candidate has a passion for working with early stage, entrepreneurial companies, fund raising experience, strong financial skills, and 5 to 10 years varied business experience with exposure to business strategy and tactics, corporate finance, business development, operations, sales and marketing, etc. Learn more about the position here. In order to continue our strong growth, we are seeking an Economic Development Project Manager who is open to being intellectually challenged on a daily basis. We are looking for people with a range of qualifications and interests including project management, client management, communication skills, interpersonal skills, analytical and organizational skills, and the ability to collaborate. Candidates should have 10 years of experience leading, managing, and performing complex projects in innovation/economic development, public policy, or planning and a master's degree. Candidates should be able to demonstrate robust knowledge in the innovation space of economic development and experience managing multiple projects at the strategic and operational levels, supervising and developing team members while ensuring client satisfaction. TEConomy is headquartered in Columbus, Ohio, and we have home‐based offices in the Midwest, Northeast, and Central Atlantic. We are open to candidates from across the nation and do not expect the selected candidate to relocate. TEConomy Partners, LLC, is seeking strategic thinkers with at least five years of experience being involved in performing and managing complex projects in innovation/economic development, public policy, or planning. Successful candidates will have a master’s degree in economics, public policy, geography, urban planning, STEM‐related discipline, or other related field, or will have at least five years of consulting experience in a related position. The candidate should possess a record of relevant work experience as well as a firm grounding in innovation/economic development or a related discipline. The selected candidate will work remotely from a home‐based office when not traveling. EIG’s Research and Policy Analyst will play an integral role in devising and executing a thought-provoking research agenda that directly informs creative, actionable policy proposals to reinvigorate the dynamism of the U.S. economy. The analyst will be deeply involved in all aspects of creating and communicating research products. Candidates with well-rounded backgrounds in economic development, entrepreneurship, geography, urban studies, and applicable economic and innovation policy areas are encouraged to apply. Direct policy experience in local, state, or federal government is also welcome. More information is available here. SSTI, a national non-profit organization that strengthens initiatives to create a better future through science, technology, innovation and entrepreneurship, has an opening for a policy analyst. Responsibilities include researching and preparing reports, articles, and issue briefs on policies and programs primarily focused on encouraging economic growth; making presentations; serving as the lead staff person for one or more interest groups from among our membership; being responsible for a weekly newsletter focused on federal funding opportunities for economic development and R&D activities; understanding and reporting on economic development, policy and legislative activities in 5-10 states; and, engaging regularly with a portfolio of about 20 SSTI members. Startup Junkie is an entrepreneurship support organization that exists to empower innovators and entrepreneurs. By building a connected community, we are creating an environment where there is the capital, culture, and talent necessary to help new ventures thrive. Our team provides high-quality consulting with entrepreneurs, we lead business growth programs such as the Fuel Accelerator, and we produce a high cadence of events aimed at educating, connecting, and celebrating the entrepreneurial community. A Consultant at Startup Junkie is responsible for helping us achieve our mission in a way that is consistent with our core values. You will be consulting with new and existing ventures from a wide range of industries on all aspects of starting and scaling their businesses. You should have the drive to be constantly learning and a passion for sharing that knowledge with others. When not working with clients, consultants are supportive of all other Startup Junkie activities including events, programs, and our own business development.